On September 26, the graduation ceremony for the third batch of Angel Egyptian staff was held at Angel’s headquarters. 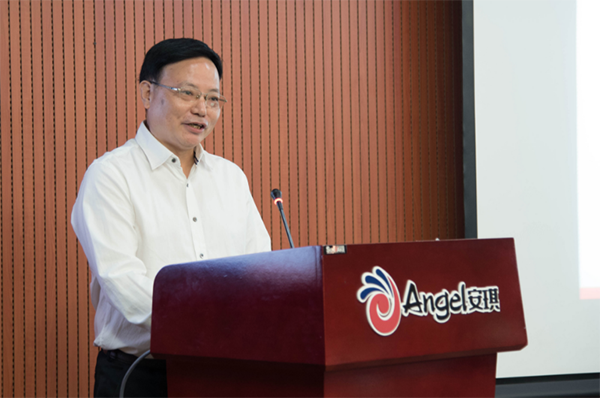 This ceremony was hosted by Li Zhihong, general manager of Angel Company. 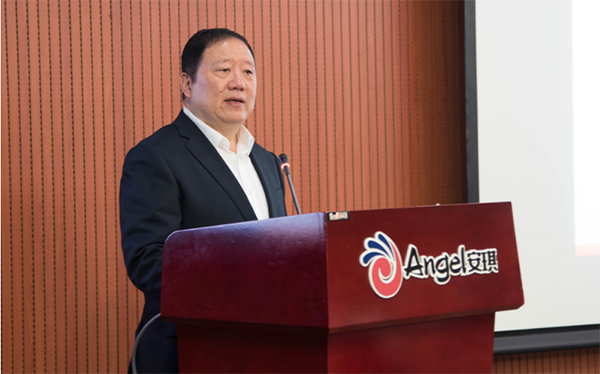 Yu Xuefeng, chairman of Angel Company and Huang Yingping, Vice President of China Three Gorges University attended this ceremony and delivered speeches. On March 10 of this year, 32 Angel Egyptian staff came toYichang to receive a six-month training courses for company culture, professional skills, yeast extract technology, products testing, products packing environmental protection, equipment etc.. They were all granted certificates during the ceremony. Chairman Yu expressed his congratulations and compliments to the 32 Egyptian staff. He said, the establishment of Angel Egypt Company is a milestone in Angel's internationalization strategy. The successful operation of Angel Egypt Company promoted the development of the Egyptian baking industry and achieved Angel's goal of building factories in Egypt. Now, the Egyptian yeast extract plant under construction will become the only yeast extract production line in Egypt and Africa, and will also promote the healthy development of the seasoning food industry in Egypt and surrounding areas. He also wished Egyptian staff to keep in the lofty mission of "Building excellent Angel Egypt Company , Promoting the Egyptian Economy" mind, carrying out Angel’s "market-centered" and "pursuit of customer value" concept and being proactive and ensuring the successful operation of the 12,000 tons yeast extract line, making new contributions to the industrialization of Egypt and the internationalization of Angel. Mr.Huang wished during his speech that Egyptian staff to strengthen exchanges, making full use of the knowledge they have gained in China, furthermore strengthening friendly cooperation and friendship between Egypt and China. These staff will come back to Egypt in next month and involve themselves in the development of Angel Egypt Company. Located in the Dankov Special Economic Zone in Lipetsk, Angel Yeast (Russia) Co., Ltd. was founded on August 18th, 2015. The company is a wholly-owned subsidiary of Angel Yeast (China) and the second overseas company invested in by the Angel Yeast Company. The company started construction at the end of 2015 and began trial operation after the work was completed in August 2017. It has provided 300 job opportunities for local residents. It will substantially enhance Russia’s yeast manufacturing level, improve the supply capacity of domestic yeast products to the local market and promote the evelopment of the Russian baking industry.